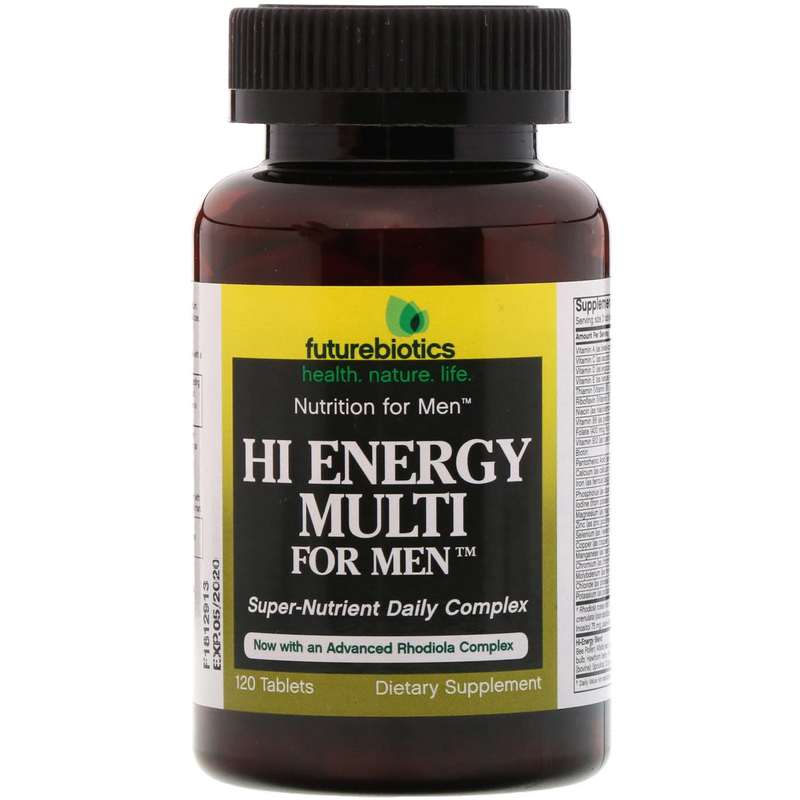 Hi Energy Multi for Men is a high-potency nutritional supplement with a hi-energy botanical blend designed for today's health-conscious man. As a dietary supplement for adults, take 3 tablets daily with meal or as directed by a healthcare professional. Contains no added, salt, starch, wheat, dairy, or artificial colors. 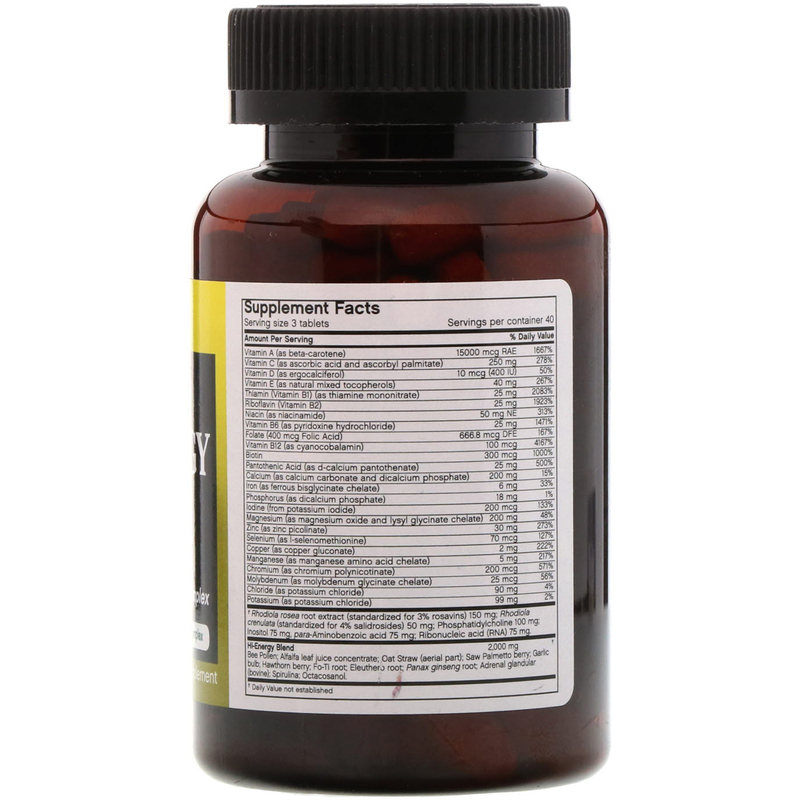 Caution: Bee Pollen is known to cause allergic reactions in certain allergy-prone individuals. If you are susceptible to bee or pollen-type allergies, please use caution when taking this product.